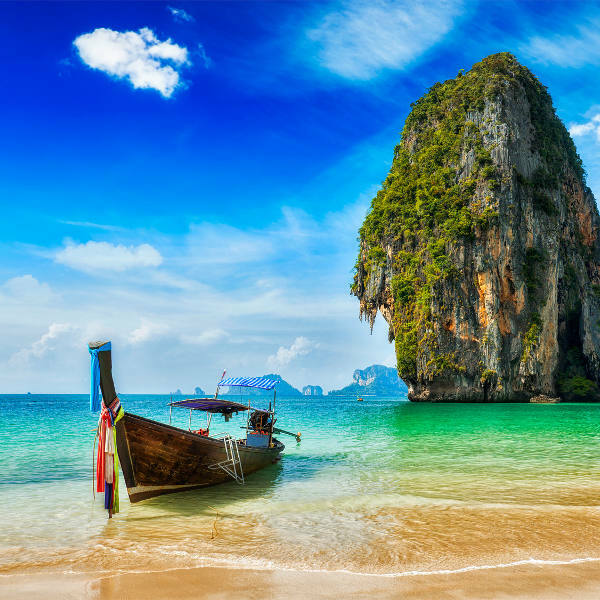 The province of Krabi in Thailand is all soft, white sand and sparkling, crystal-clear waters. With kilometres upon kilometres of pristine coastline and more than 200 islands in close proximity, the more than 456,800 residents enjoy the sweeter things in life. 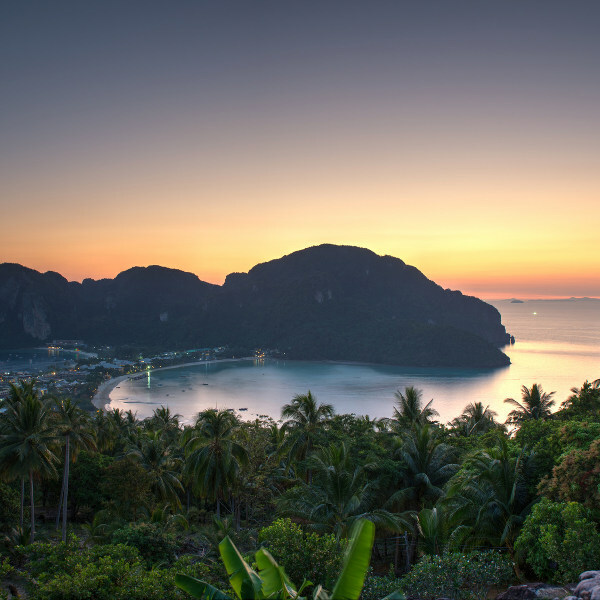 Popular tourist attractions include the Koh Phi Phi View Point, Tiger Cave Temple and Bamboo Island. Get ready to escape reality because cheap flights to Krabi are now available for a limited period of time! Krabi is home to Krabi International Airport (KBV), which is located on a 20-minute drive from the town centre. Whatever your beach preference, Krabi has you covered. From secluded gems and family-friendly stretches, to beaches that offer all sorts of maritime activities – you’re guaranteed to find your paradise. Krabi has more than 200 islands just a short boat trip away, each offering a unique, spectacular experience. The most popular include Ko Ngai and Ko Lanta Yai. Wander along green, winding paths in the Khao Sok National Park, the world’s oldest evergreen park. Immerse yourself in nature as you spot bears, parrots and otters. Krabi experiences great weather all year long, so it doesn’t really matter when you choose to visit; you’re in for a great vacation. The average temperature all year long is 27 °C. 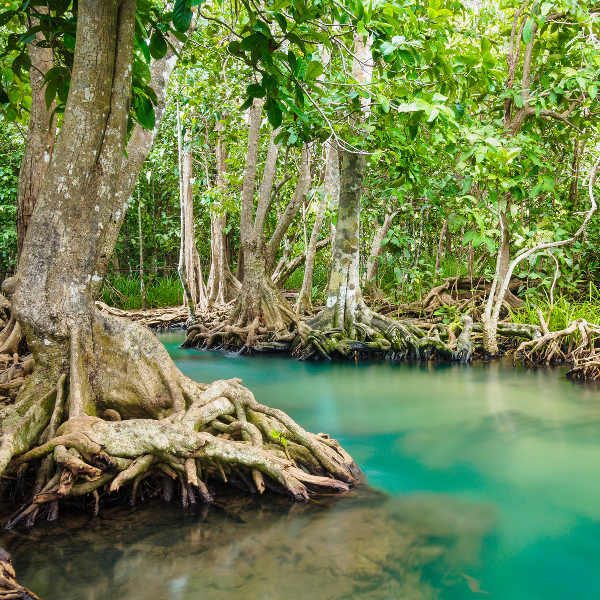 Krabi, like most tropical regions, experiences two seasons – a wet and dry season. It gets very busy over Chinese New Year, in February, as this brings in lots of tourist and elevated hotel and flight prices. The rainy season falls between May and November, and as it is off peak season, you’re more likely to find better deals on flights and accommodation. The city and province of Krabi in Thailand is surely a paradise, as it’s hard to envision more picturesque surroundings. Though you may assume much of the region has been built up by man, you’ll be overwhelmed to find untouched beauty in every direction you look. The famous sandy bays, such as Railay and Tonsai beach, stretch as far as your eyes can see. With the abundance of nearby islands to visit, you’ll be booking your trip back before you even leave! Don’t be fooled into thinking Krabi is only beaches and islands though. Imagine walking through a tropical paradise and following the sounds of water to find majestic waterfalls and hidden lakes. Krabi is home to the oldest evergreen park, Khao Sok National Park, which invites you to enter its wonderland. Krabi is also a gateway to the famous Thai markets. Armed with just a little bravery, you’ll send your taste buds on a truly delicious adventure. Try Pla Pao (barbequed fish) and a traditional favourite, Khao Pad (fried rice). Compare several airlines, and book your cheap flights to Krabi online at Travelstart! Krabi is quite safe, but as it is a busy tourist location, caution should always be applied. It is not advisable to walk the beaches at night, especially on your own. Also, if drinking, please take care and only drink at well-established bars and restaurants. Other than this, be aware of your surroundings and you will have a fantastic time. It is always important to have your vaccines up to date when you are travelling. When visiting Thailand, it is recommended to get a vaccination for hepatitis A, as you will most likely be eating food that is unfamiliar. You should get a shot for typhoid if you’ll be doing any trips to smaller, more rural areas of the country. Other vaccines that are recommended are hepatitis B, yellow fever, malaria and rabies.